Why sit still and look pretty when you can change the world? Ever since Daya set foot in the entertainment industry and brought out her musical masterpieces to the world, we all knew that she would be an influential musician whose impeccable talent and extraordinary, head-strong persona would set her apart from other musicians. Her hit song, “Hide Away” connected with girls from all over the world who are looking high and low for where the good boys go to hide away. She then released many more exceptional songs off of her EP that lead to the release of her awe-inspiring and stupendous album, “Sit Still, Look Pretty.” Daya is the perfect example of an elegant, hard-working, admirable, determined, focused, ambitious, young lady who deserves all of the successes she has and will continue to receive. She inspires girls, and everyone in general, to see their potential and to go after their dreams. Each one of Daya’s songs proves her to be the life-changing and powerful musician that our generation truly needs. Daya’s chart-topping track “Hide Away” went double platinum and this remarkable, young lady has even had several nominations at renowned award shows including the MTV Video Music Awards and the American Music Awards for her collaboration track with The Chainsmokers titled “Don’t Let Me Down.” Daya brings girl power to another level and she is someone who brings so much class and confidence to all of her breathtaking projects. 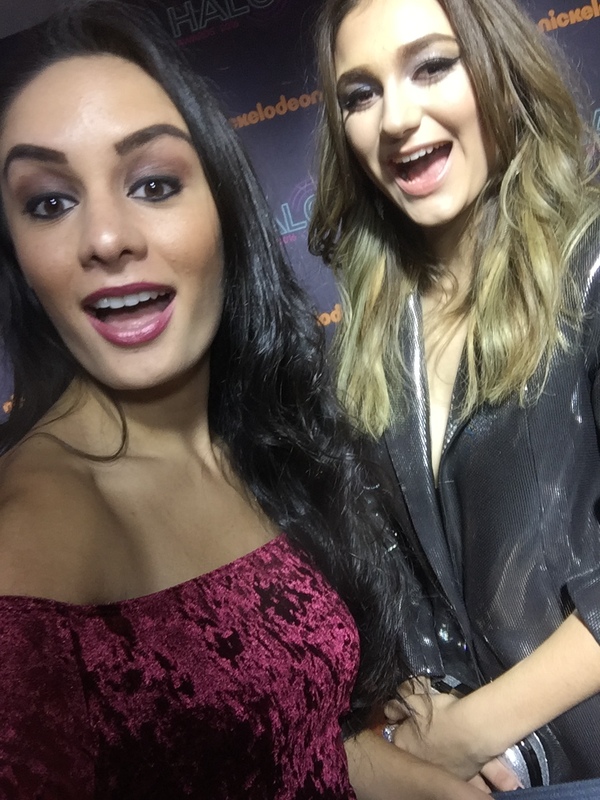 I, Alexisjoyvipaccess had the greatest honor of covering the renowned, prestigious, and inspiring 2016 Nickelodeon HALO Awards for the third year in a row and had a spectacular time interviewing the wonderful Daya again at the event. Daya dished exclusively to Alexisjoyvipaccess what her favorite song is off of her “Sit Still, Look Pretty” album and she sent out one excellent message to all of her fans in our VIPAccessEXCLUSIVE updated interview. Hear what the amazing Daya had to say in our VIPAccessEXCLUSIVE updated interview below. Thanks for another terrific interview, Daya – always a blast chatting with you! Check out my VIPAccessEXCLUSIVE updated interview with singing sensation Daya at the 2016 Nickelodeon HALO Awards below! The Nickelodeon HALO Awards is the only award show of its kind that celebrates kids who are doing above and beyond to change the world we live in for the better and encourage everyone that you too can do the same. The 2016 Nickelodeon HALO Awards airs on Sunday, November 27th at 7:00 PM ET / PT on Nickelodeon. Previous VIPAccessEXCLUSIVE: The Amazing Kira Kosarin Interview With Alexisjoyvipaccess At The 2016 Nickelodeon HALO Awards! Next VIPAccessEXCLUSIVE: The Extraordinary Jacob Whitesides Interview With Alexisjoyvipaccess At The 2016 Nickelodeon HALO Awards!